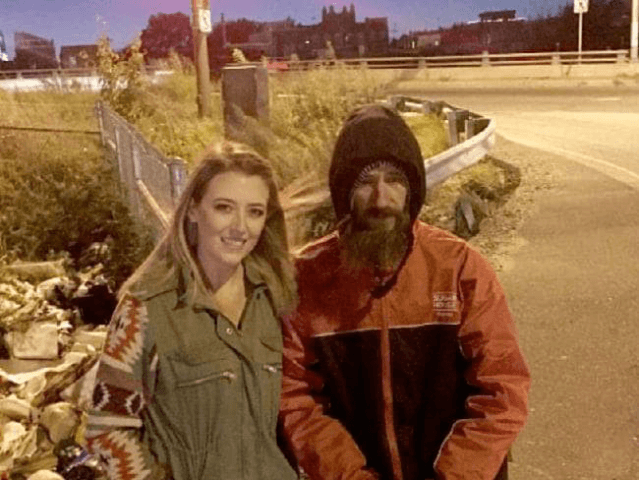 Johnny Bobbitt, who made headlines last Thanksgiving for offering New Jersey resident Kate McClure his last $20 when her vehicle ran out of gas in a rough Philadelphia neighborhood, is suing McClure and her boyfriend for allegedly spending what remains of a $400,000 GoFundMe account the couple created for his benefit, the Philadelphia Inquirer reported. The story started out as a heartwarming tale where McClure, 28, and her boyfriend, Mark D’Amico, 39, started a GoFundMe campaign for $10,000 to help Bobbitt get through the winter as a thank you for his kind gesture. The campaign went so viral that it surpassed its $10,000 goal to raise more than $400,000. But the story did not have such a happy ending after plans to disperse the money went downhill, and Bobbitt wound up living on the streets once again. McClure and D’Amico claim they spent half the money on housing and miscellaneous expenses for Bobbitt, who is living back under an overpass and panhandling. The couple said they are withholding the rest of the money until he is off drugs. But a lawsuit Bobbitt’s attorney filed on his behalf on Tuesday claims the couple mismanaged the money. The suit alleges the couple committed fraud and conspiracy by depositing “substantial portions of the money raised” into their personal bank accounts instead of allowing Bobbitt to use the money to get off the streets. “The defendants have expended more than half of the monies raised, and they continue to deprive [Bobbitt] access to the funds that were raised for him,” according to the suit filed by Bobbitt’s lawyers from the firm Cozen O’Connor in Philadelphia. Christopher C. Fallon, one of the attorneys representing Bobbitt, said Bobbitt’s legal team filed the lawsuit after D’Amico ignored several requests to provide full documentation of how the money in the GoFundMe account was spent. “He’s really left us with no choice but to go forward,” Fallon said. The couple, appearing on NBC News’ Megyn Kelly Today on Monday, denied they had been pocketing the funds meant for Bobbitt, saying they wanted to protect the interests of Bobbitt and the 14,000 donors who contributed to the fundraiser. The couple claimed Bobbitt blew through $25,000 in less than two weeks. “Write what you want,” D’Amico told the Philadelphia Inquirer. “Giving him all that money, it’s never going to happen. I’ll burn it in front of him,” he added. A judge is expected to hear the case on Thursday.